As of 3:51PM EDT. Market open. 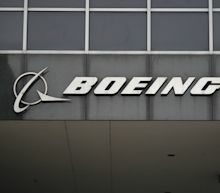 Boeing, Ford, Kohl’s, Amazon, CBS and General Electric are the companies to watch. Kohl’s stock closed up 12% on Tuesday after the retailer said it would accept Amazon returns at all of its stores. The deal for Kohl's Corp. (KSS) to accept Amazon.com returns is only one side of the story. On the other side is the issuance of warrants to buy up to 1.75 million shares of Kohl's by Amazon. Kohl's has an enterprise value just under $14 billion, about what Amazon generates in free cash flow annually. Kohl's Corporation (NYSE: KSS) announced an expansion of its partnership with Amazon.com, Inc. (NASDAQ: AMZN) across 1,150 stores in the United States. UBS' Jay Sole maintains a Neutral rating on Kohl's with an unchanged $72 price target. Kohl's stock gained more than 10 percent after confirming its partnership expansion and the double-digit move doesn't fully incorporate the true potential, Sole said in a research report. Beginning in July, Kohl's will take Amazon returns for free at all of its stores. Kohl's wants you to skip the post office and bring your Amazon returns to its stores. The department store chain said Tuesday that it will accept Amazon returns at all its 1,150 stores starting in July, expanding its nearly two-year test of the service from 100 stores. Kohl's sees the partnership with Amazon as a way to get people in its doors and maybe get them to buy something while they're there. Earnings season kicked into full gear, and many stocks saw big gains. Kohl's said the agreement, which was first launched in 2017 around 100 pilot stores, will now roll out around the retailer's 1,150 locations nationwide, allowing Amazon customers to bring unpacked returns for no extra fees. Kohl's said the program is likely to impact group sales, as well as its selling and administrative expenses. "We are thrilled to bring Amazon Returns at Kohl's to all of our stores across the country," said CEO Michelle Gass. Kohl's will expand Amazon returns processing at local stores 10-fold, starting in July. Kohl's stock jumped past a buy point. What a surge we got in the stock market today, with the S&P 500 taking out its prior record closing from 2018. Same for the Nasdaq. As nice as it is to see stocks moving higher, it does create a less attractive risk/reward for new longs. Let's see what top stock trades we can find as earnings continue to roll in.Twitter (NYSE:TWTR) is perhaps the most notable mover on the day. See to it that the stock now stays over former resistance, which was laid out the other day. I would also like to see it stay over its key Fibonacci retracement levels now. Top Stock Trades for Tomorrow 1: Procter & GambleInvestorPlace - Stock Market News, Stock Advice & Trading TipsThis is how you know Procter & Gamble (NYSE:PG) came into the print too hot. The company beat on earnings and revenue estimates and bumped its full-year outlook. Still, shares fell 3.2% on Tuesday.The decline drops PG out of its rising channel and puts downside targets back on the table. Given how strong the stock has been and given that its report was more a sell-the-news event rather than panic on poor results, the first spot to look is the 50-day moving average. * 7 Digital Ad Stocks That Deserve Your Attention Right Now Should $100 to $101 fail to buoy PG, a decline into the mid-$90s is possible before buyers step in. I want to see where support comes in, and what happens on the ensuing rebound. Top Stock Trades for Tomorrow 2: Kohl's=Kohl's (NYSE:KSS) stock is rocketing higher on Tuesday, up 12%, on news that the company would expand its partnership with Amazon (NASDAQ:AMZN).$80-ish is pretty clear resistance for the stock, which is erupting off uptrend support while the 20-week is crossing above the 50-week moving average. The latter development could signal a shift into bulls' favor as far as long-term momentum goes.However, in the intermediate term, I want to see how KSS does with uptrend resistance and the $80 level. A push through could create a new leg higher. A rejection provides a buy-the-dip opportunity. Top Stock Trades for Tomorrow 3: RokuShares of Roku (NASDAQ:ROKU) are popping nicely on Tuesday, up about 8% following a bullish analyst note.The stock is gapping up through the 20-day and 50-day moving average, a rally that's threatened to stall if shares pullback over the next session or two. However, I have my eyes on a larger level, that being downtrend resistance currently near $67.50.Should it get there, I expect Roku to run into some sellers. If a pullback ensues, see where the buyers step back in. Should we get a decline back to downtrend support and the 200-day, Roku is worth a shot on the long side, at least for a bounce.This one has been struggling, so it has to prove that momentum is back to trust it on the long side. Top Stock Trades for Tomorrow 4: Small CapsWith FAANG names roaring back, small caps may not be the main focus right now. However, the direction of the IWM has been a leading indicator at times.The good news for bulls is that iShares Russell 2000 ETF (NYSEARCA:IWM) is up 1.6% on Tuesday and outpacing all other indices. That said, it has some catching up to do.I loved the little pullback we got last week, with three straight declines, the last two of which tested down into moving average support and bounce to close basically flat each day. With the 20-day, 50-day and 200-day all just below the current price and resistance sitting at current levels, the strong rally in the IWM looks great.Should it breakout over this level, the IWM has room to run. While the S&P 500, Nasdaq and Dow are all hovering near their highs, the IWM could still run another $12 and not hit them. I really like a breakout over $158. Below last week's lows near $154.75 and I'd change my thesis. Top Stock Trades for Tomorrow 5: Johnson & JohnsonWhen Johnson & Johnson (NYSE:JNJ) reported earnings last week, the stock flirted with a big move over $140. However, that rally faded intraday, with JNJ closing near $138. That showed that JNJ was not yet ready for the breakout, although stalling at $140 should be no surprise. Ahead of the event, we wrote, "$140 is clearly short-term resistance. "A pullback into the 20-day and 50-day moving average held, meaning JNJ had reset enough to warrant another look. Now here we are at $140 again, with JNJ stock threatening to move even higher. A close over $140 has me interested on the long side. * 10 High-Yielding Dividend Stocks That Won't Wilt Below the 50-day and I'll lose my interest. Above $140 opens the door to $146+ going forward.Bret Kenwell is the manager and author of Future Blue Chips and is on Twitter @BretKenwell. As of this writing, Bret Kenwell is long ROKU and AMZN. More From InvestorPlace * 2 Toxic Pot Stocks You Should Avoid * 10 High-Yielding Dividend Stocks That Won't Wilt * 4 Energy Stocks Soaring as Trump Tightens on Iran * 7 Tech Stocks With Too Much Risk, Not Enough Upside Compare Brokers The post 5 Top Stock Trades for Wednesday: PG, KSS, ROKU appeared first on InvestorPlace. Kohl’s has been getting cozier with Amazon in recent years, with the aim of drawing more new customers into its stores. “We expect this strategy to help lift traffic and drive” comparable sales at Kohl’s, said Randal Konik, an analyst at Jefferies. Kohl’s also issued a warrant to an Amazon investment arm to let it buy as many as 1.75 million shares of Kohl’s stock. Investors believe Kohl's expanded return program with Amazon can drive store traffic -- but is it also a sign of desperation? Kohl's shares moved sharply higher on Tuesday morning after the company expanded its partnership with Amazon. As part of a partnership that started in 2017, Amazon customers could bring their unwanted or damaged products to select Kohl's stores to be returned. The partnership expanded to 200 locations last month and Tuesday's announcement extends the relationship to every Kohl's location across the continental United States. Amazon and Kohl's share a "passion in providing outstanding customer service," Kohl's CEO Michelle Gass said in the press release. Kohl's Corp. stock soared 7.7% in Tuesday trading after the retailer announced that it would now accept Amazon.com Inc. returns at all its stores. Kohl's first announced that it would pilot the returns program in September 2017, operating in 100 stores in Los Angeles, Chicago and Milwaukee. Now customers will be able to return Amazon merchandise to all 1,150 Kohl's locations. Kohl's is also carrying Amazon products in more than 200 stores. Convenient returns have become a focus for a number of companies and retailers, including Walgreens Boots Alliance Inc. , which is working with Narvar to accept returns at its locations. Kohl's stock has rallied 9.5% in 2019, while the S&P 500 index is up 16.2% for the period. The retailer's partnership with Amazon allows customers to return eligible Amazon purchases to Kohl's stores for free. Kohl’s (KSS) today announced that all Kohl’s stores will be accepting free, convenient, unpackaged returns for Amazon customers starting in July. Kohl’s and Amazon first worked together in 2017 to pilot the returns program, which is currently operating in 100 stores in the Los Angeles, Chicago and Milwaukee markets. Kohl’s and Amazon will roll out the program to all of Kohl’s more than 1,150 locations across 48 states.